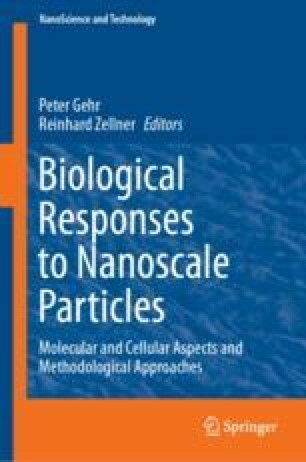 Imaging techniques for probing the interactions of nanoparticles with cells and skin are essential for a qualitative and quantitative understanding of uptake and penetration processes. A variety of important visualization techniques is reviewed for providing an overview on established and recently developed techniques. This includes optical microscopy, fluorescence microscopy, electron microscopy, Raman microscopy, optical near-field microscopy, X-ray microscopy, as well as recent and emerging developments in the field of spectromicroscopy. We are grateful for the contributions of our collaborators contributing to some of the results shown. Specifically, we are indebted to Dr. F. Rancan, Dr. A. Klossek, K. Yamamoto, and Dr. R. Flesch. We thankfully acknowledge the Deutsche Forschungsgemeinschaft for the support of the Priority Program SPP 1313 “Biological Responses to Nanoscale Particles”, project RU420/12-1, and SFB 1112.